It is important that you keep this first letter relatively short, because you don’t want to bore your new friend with a thousand facts about you, and it also gives the impression that you want to keep writing to this person, so you’re leaving information for the next letters. Name, age & birth date, where you are from and where you currently live (if these two places are different) and 1 fun fact about yourself. Example: My name is Christina, I am 27 years old and my birthday is on January 29th (Yes, I’m an Aquarius! What are you?). I was born and raised in Salt Lake City, Utah, but I currently live in San Francisco, California. I love spending time with my family and taking trips to the beach. What’s that one thing that takes all of your time? Is it work? Or school? Or are you a full-time stay-at-home parent? Talk about it briefly, and add two or three things that you like about it. Example: I’m currently a stay-at-home mother, I have two children and a dog. It’s a lot of work! What do you do for a living? I used to be a remote secretary for an artist based in New York, but after my last child was born, I decided to stay home full-time. I love it, we go to the dog park every morning, take naps after lunch, and plan birthday parties and other celebrations for our family members during the weekends. What would this person find you doing when you are not working/going to school/etc? Explain what it is, how long you’ve been doing it, and why you like it so much. Example: When my kids are taking naps, you’d probably find me baking. I got into baking cupcakes at a very young age, and with time, I’ve been able to learn amazing recipes. I can’t wait to share some of those with you! I also like enjoy running, but I’m only able to do it outdoors when my friend Cami can watch my children. Running is one of my bests hobbies, it helps me unwind and think of how lucky I am for having the life I have. Express your feelings about having a pen-pal, and how you’d like to stay friends for a long time. (If that’s the case) A lot of people like to find pen-pals before traveling to their pen-pal’s area, that way they can meet one day, and at the same time, know a local who will be a friend and show them around town. Example: I hope you’re enjoying my letter so far, it’s always hard to talk about oneself so uninterruptedly. I hope I can get to read about you soon and your life in Paris, I’m excited to become friends with you, (my first friend from France!) and to be able to write letters more often. And, who knows? Maybe my trip to Paris will finally become true! Make sure you close the conversation by saying that you’ll be waiting for a response. Make your pen pal feels welcomed to keep the conversation going. Example: As I said before, I’m stoked for having a friend overseas! I hope you’re as excited as I am, he he. 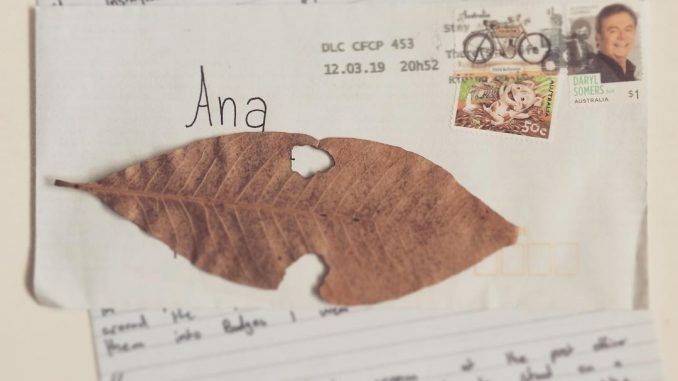 It’s been a pleasure to introduce myself -through a letter!- My wish is that we can become good friends and hopefully even meet one day, if life permits. I’ll be waiting for your letter exchange and getting this conversation going! Did you ever imagine how easy and fast it would be to write an introductory letter? If it’s hard for you to write, follow the examples. They will make your letter look organized and you’ll be talking a little bit about different aspects of your life.